The Riviera Nayarit and Puerto Vallarta recently participated in XI ESFE, the largest meetings industry event in Sao Paulo in order to network for new business within the MICE segment. The Riviera Nayarit and Puerto Vallarta are following the Mexico Tourism Board’s (MTB) established outlines for tourism promotion in Brazil, which is why they are considering new market segments, with the MICE (Meetings, Incentives, Conferences and Exhibitions) segment becoming ever more relevant. The MTB’s plan focuses on the MICE, Luxury and Romance segments, and continues to work with established Brazilian tour operators running their own campaigns. To this end, there will be a Mexico Tour through Brazil in 2016, work will continue with the Virtuoso agency, Mexico will participate as a guest of honor in two additional important events in Rio de Janeiro and Sao Paulo aimed at the Weddings segment, and the team will take part in the Travel Week Luxury event in Sao Paulo. The inclusion of the Riviera Nayarit and Puerto Vallarta as part of Mexico’s tourism product has been requested for all of these events. 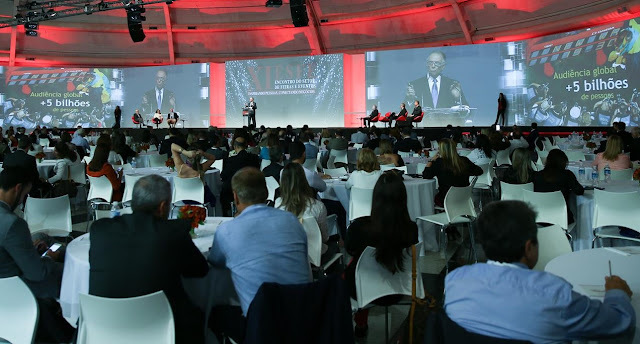 The representative for Riviera Nayarit and Puerto Vallarta in Brazil recently participated in the XI ESFE, the largest meetings industry events to take place in Sao Paulo, in order to network within the MICE segment. There were approximately 1,000 participants and over 70 brand booths. The ESFE focused on strengthening relationships and generating negotiations in order to counteract the country’s current situation. The 5th Fairs and Events Sector Forum, another important event in the same segment, took place during the same time period.